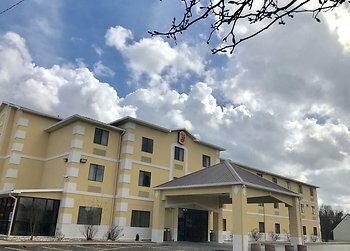 Hotel Super 8 by Wyndham Jackson/North, Jackson, United States of America - Lowest Rate Guaranteed! With a stay at Super 8 by Wyndham Jackson/North in Jackson, you'll be within a 15-minute drive of Mississippi Coliseum and Jackson Convention Complex. This hotel is 6.4 mi (10.3 km) from Mississippi Agriculture and Forestry Museum and 6.5 mi (10.4 km) from Mississippi Sports Hall of Fame and Museum.